Following up a widely-perceived career highlight in the form of 2014's post-leukemia comeback The Satanist, the clumsily-titled I Loved You at Your Darkest is the least-well received album that I can remember Behemoth releasing in years. You could argue that of late Negal, Orion, and Inferno have set forth upon a new era of the band, moving away from the early pure black metal and later black/death violence, building on elements of grandiosity on albums like Evangelion to the point where now you're just as likely to get an epic pounder like Blow Your Trumpets Gabriel than something fast and brutal like Slaying the Prophets of Isa. Sure, the speed and violence still exist (and considering how much of a celebrity Nergal is in his native Poland he has to be commended for not selling his band's sound out) yet I was a little worried going in that the band were replacing too much of their extreme metal sound with this atmospheric rock, as if they were attempting some lesser version of what Celtic Frost achieved with Monotheist. After all, the likes of Tribulation have gone in this direction of late and received much plaudits for it, yet it wouldn't suit the Poles half as well. Fortunately Behemoth are a different sort of beast altogether, and although I Loved You At Your Darkest can't quite escape The Satanist's shadow, it's still an excellent album that doesn't let the sometimes clumsy presentation drag it down too far. Don't let that artsy title and cover put you off because there's a lot of excellent material to be found within, to the point where I'm downright puzzled at the poor reception it's been getting. Sure, let's get the lowest point out of the way first; the children's choir on intro Solve cursing God is very cringey and simply doesn't work. Fortunately first track proper Wolves ov Siberia kicks things up a notch with its solid post-Satanist blastwork, a percussive atmospheric interlude working very well indeed before the band return at full epic power. God = Dog may briefly bring back the child choir, and is far too edgy in title and lyrics but musically is superb, the move away from their old blackened Nile worship continued here and doing wonders for the band in allowing melody to seep in and develop their style into something more recognisably their own. This comes to the fore on the album from Ecclesia Diabolica Catholica onwards, where the naturally aggressive metal elements are married to a grandiose, Churchlike choir in the chorus and later verses which feels epic enough that lyrics like "I have witnessed the birth of planets/I have witnessed the death of worlds" feel suitable rather than ridiculous. Add to this some timely acoustic guitar and an outro section that allows the orchestral black metal elements of the band's sound to dominate, and you're left one with of a couple of tracks present that could propel I Loved You at Your Darkest above The Satanist in quality, if the entire album could match it. Another is Sabbath Mater, which throws enough little experiments in to refresh the basic building blocks of the Behemoth sound altogether, from the clean backing vocals in the chorus to the blackened elements and orchestral flourish in the outro. 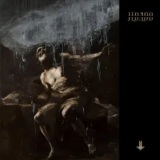 Or Havohej Pantocrator, which almost feels like some Drudkhian deep cut with the near-constant backing acoustic guitars. It's worth mentioning that the band's traditional awful production jobs are completely forgotten of late, this album joining its predecessor in having a solid mix that doesn't muffle anything or make it sound too clean; and of course the musical performances are uniformly excellent, particularly Inferno's drums. One serious criticism that you could level at this is the lack of discernable riffing, yet it feels like a deliberate move, the band choosing atmosphere over metallic precision. In a couple of ways it's a deeply unfair point to raise - listen to the black metal as hell guitarwork on We Are the Next 1000 Years, for example, and try and convince me that it's at all lacking! It's also hard to fault the guitar solos whenever they appear, always fitting perfectly both the character and atmosphere of the songs, even in the case of otherwise average tracks like If Crucifixion Was Not Enough being one of the most interesting elements to it together with the doom-tinged closing. The closest thing present to some perceived gothic rock-style sellout is Bartzabel, and even that mostly succeeds despite being a little repetitive, slowing the pace and allowing Nergal's natural vocal intensity to dominate atop some nicely melodic guitar meandering. Moments like the proggy latter half of Angelvs XIII are unlike anything else from the band's past discography, building on the solo and use of acoustic guitar excellently, and while the distorted vocals and groovy opening to Rom 5:8 may seem like steps on the path to some future sell-out, the rest of the song is utterly solid black/death. All in all, I Loved You at Your Darkest is a rich, deep album that rewards repeated listens, not presenting itself particularly well at first, but given time showing itself to be a more than solid entry in the band's discography.